Jada is a keen shot putter and an excellent role model for the younger pupils. She was selected for London West in June, having won first place in the shot put at the ISA Athletics Championship. 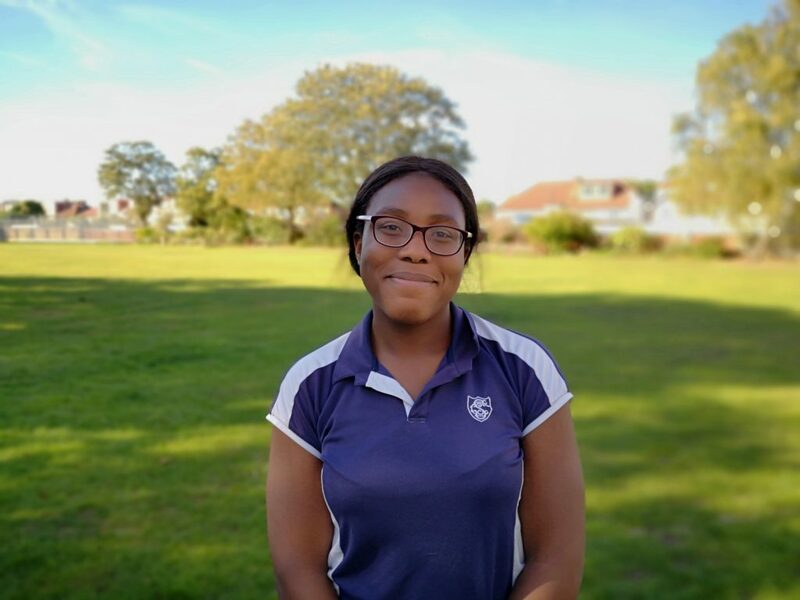 This year she achieved third place in the shot put event at the National Schools Athletics Championships, having won the gold medal in in the same event in 2017. Jada also excels at other sports. She enjoys netball and swimming, representing the school in both sports. I0na has been Irish Dancing for the “O’Connor Irish School of Dance” since she was 3 years of age. She dances three times a week. Last year she won the Hertfordshire Championship Dance Cup and regularly takes part in feiseanna competitions. 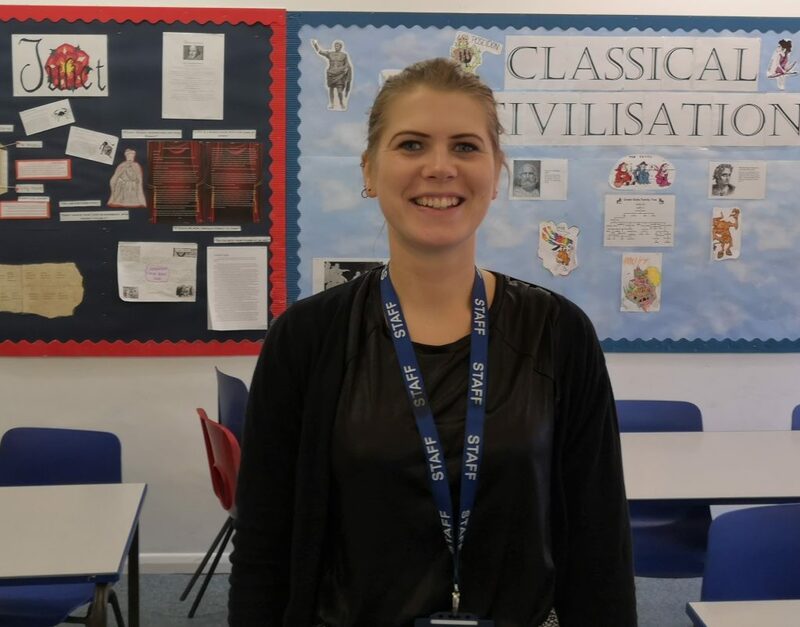 Miss Holgate-Smith Miss Holgate-Smith runs the school dance club on Thursday lunchtimes for all years in the senior school and a ‘Feel Good Friday’ dance class for Sixth form students on Fridays. These sessions have proven to be an excellent activity among pupils. A variety of dance disciplines are covered, including Jazz, Lyrical, Contemporary, Commercial Street Dance and Musical Theatre. Students often suggest styles or music they would like to be covered. Each routine is taught for around 4 weeks, so students feel they are progressing with it. All sessions provide an exciting form of exercise and are a fun opportunity for students to step away from their academic studies; it is a great way to keep fit and it is pleasing to see so many students of all ages working together. Leila absolutely loves drama, music and dance! For four years she has attended PQA every Saturday morning studying drama, comedy, musical theatre and film-making. With PQA she has performed in many shows including “Out There” at Hampton Hill Theatre, “Shakespeare in the Park” at Ham House and “The Lazy Ace” at Shaftesbury Theatre in the West End. For her recent performance in “The Silent Song” at The Arthur Cotterall Theatre she was awarded Grade 3 with Distinction for Plays in Production by Trinity College London. She loves her LAMDA classes at school with Miss Borge and recently achieved a mark of 97% in her first LAMDA exam. She has acted professionally at Richmond Theatre in the ABBA tribute show “Thank Abba for the Music” and was really excited to be a featured supporting artist in the new Judy Garland biopic “Judy” starring Renée Zellweger which will be released in cinemas in 2019. She loves playing her violin in the school orchestra and this summer got her Grade 3 with Merit. 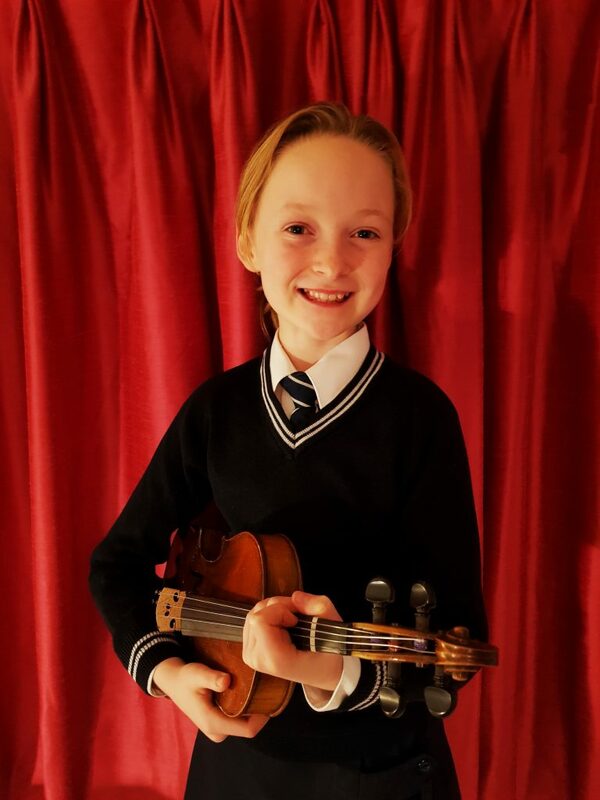 She has recently started singing lessons at school with Miss Eccleston and is working towards Grade 4. She loves singing in the school choir and really enjoyed performing in “Annie” last summer term. In other choirs she has sung at the O2 and Wembley Stadium. Saturday afternoons are taken up with dancing! She has Grade 2 Ballet ballet with Merit and Grade 1 Tap with Distinction. She is currently working towards Grade 3 in Modern and a showcase of all the different dance styles she studies which will be at Watermans Theatre in January. Chloe in Year 5 is a talented swimmer. 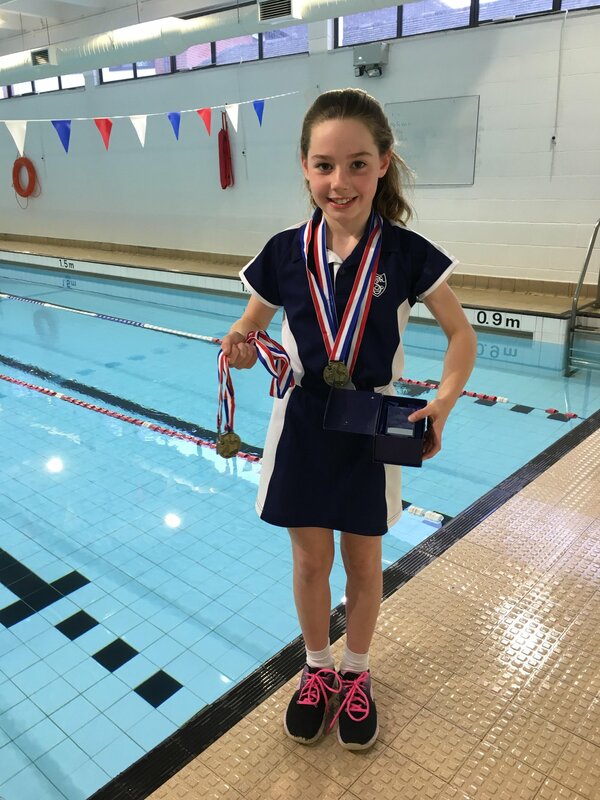 She is a member of Teddington Swimming Club and the reigning U9 Richmond Borough champion in Swimming. She took part in every individual 50m race and won two golds and two silver medals. She has also represented the school at the recent ISA event where she came first in the relay and second in her individual race. Chloe also enjoys horse riding. She has won show jumping and dressage competitions and has her own pony called Morgan. Roisin a first team hockey player at Walton and Sunbury Hockey Club, she was awarded young player of the year this summer. She also has qualified for Middlesex Cross Country Championships after coming third at the Richmond Round. She is an accomplished singer and for the last two Six Nations Rugby championships when England played against Ireland at Twickenham, she led the whole stadium in both the Engish and Irish Anthems. At present Roisin is studying A Level courses in Maths, Biology and Chemistry and wants to study medicine next year. Robyn Simms enjoys painting and frequently spends lunchtime in the Art room working. She won the Westfield Gift Card Competition last year, having designed a beautiful red and gold decorative composition, with over two thousand printed for the world to see. She won £100 for herself and £1000 for the Art Department which was used to buy digital SLR cameras to expand the use of photography at KS3. Robyn is also a highly-talented athlete . 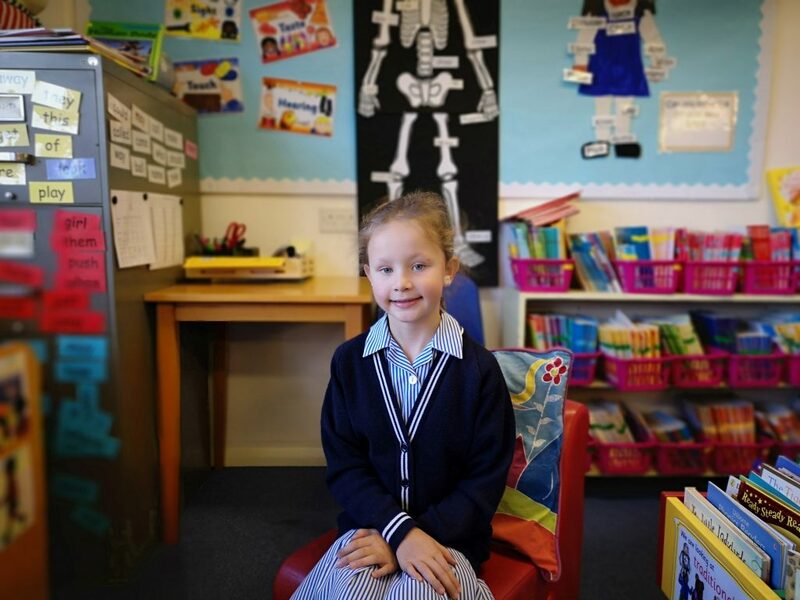 She is a member of the school’s Trampolining, Netball, Cross-country, Swimming and Hockey Clubs. This year she achieved second place in the Trampolining competition out of over a hundred competitors at the London Youth Games. Rashmini in Year 10 is a regular member of the School Debating Club. 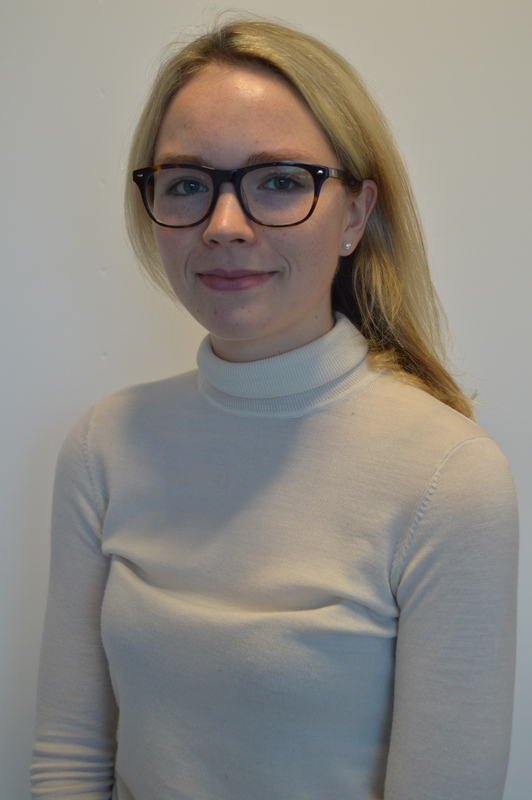 She enjoys debating as she is avid follower of current affairs and thrives on the challenge of speaking in public. The Debating Club plays a leading part in the school’s culture, meeting weekly during term time. Debates centre around topical issues chosen by the pupils. 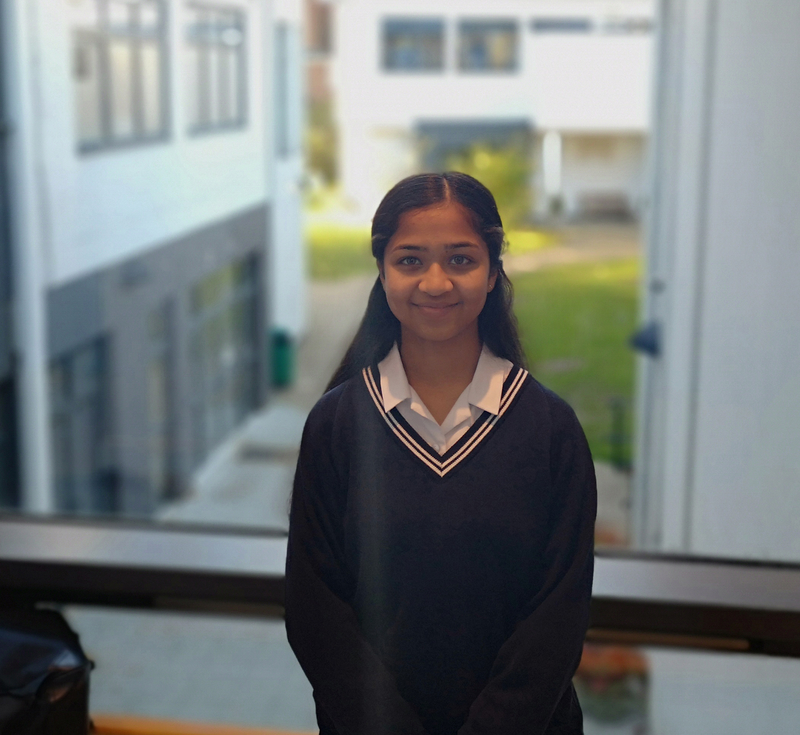 Rashmini recently took part in the Regional Mace Competition run the English Speaking Union, where the topic in question was the housing crisis in the UK. 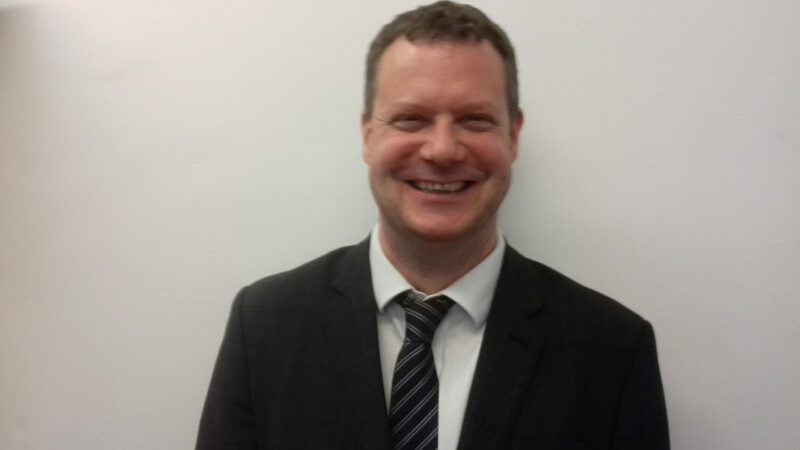 As Head of Geography, I have been overseeing the Duke of Edinburgh Scheme for over 10 years at St Catherine”s School. At St Catherine’s girls start by completing the Bronze certificate in Year 9. Then they move on to the Silver in Year 10 and some carry on with the Gold in Sixth Form. 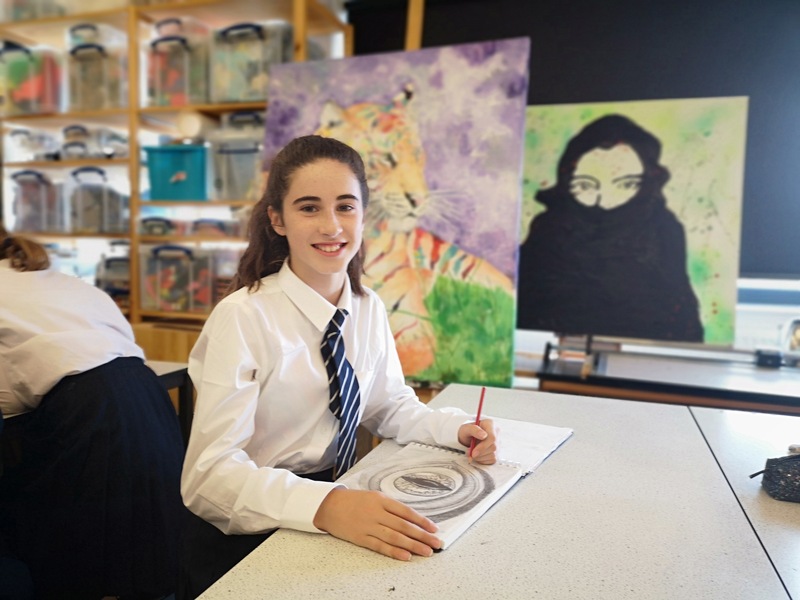 The scheme gives our pupils the chance to do something completely new and improve on what they are already doing. It takes them out of their comfort zone and into a place where they push themselves. Pupils have amazing new experiences and build confidence, resilience and friendship groups. I am looking forward to putting them through their paces in the Surrey Hills and Dorset in the spring.